Between Charlize Theron’s wicked queen in The Huntsman: Winter’s War and The Red Queen in the new Alice In Wonderland film, there’s never been a better time to be bad. Here at Warpaint we thought we would round up our top ten favourite movie bad girls, along with the make-up looks that are almost as famous as the characters. Jean-Luc Russier and Martial Corneville created Glenn Close’s 1996 look, in close collaboration with costume designer Anthony Powell. 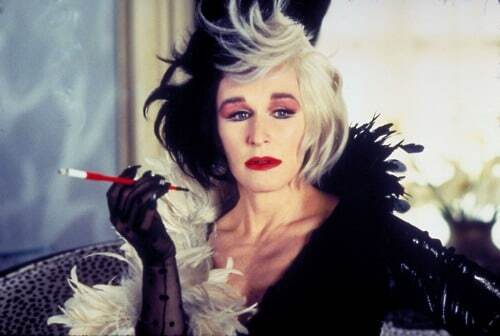 Designed for Glen to act evil (rather than look evil, given she’s supposedly a respected fashion designer), it is the perfect example of actor, make-up and costume departments coming together in that the Cruella monochrome look has become evil personified. An iconic look brought bang up to date in the latest visit to the mystical world in Oz The Great and Powerful. 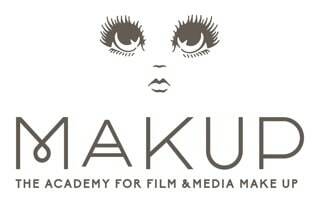 Mila Kunis plays the wronged Theodora with make-up created and applied by Howard Berger and his team, under the watchful eye of designer Vivian Baker. 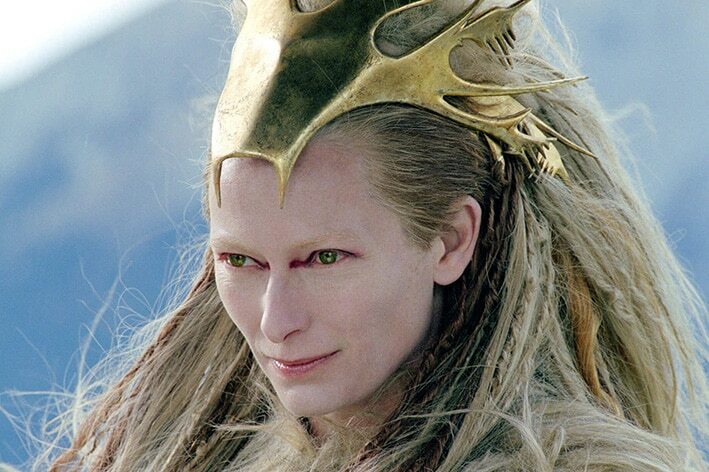 The snowbound world of Narnia is home to Tilda Swinton’s White Witch. From ice maiden to warrior queen, the minimal, colour-starved make-up of the character in the palace and battle scenes belies the wickedness of the Witch. “She doesn’t have to do or say much, she has to be iconic,” according to Tilda, “we wanted to blow away the traditional image of a witch, that they are a) ugly and b) dark.” Nikki Gooley headed up the expansive hair and make-up department for the project. Uma Thurman’s mutated scientist Poison Ivy allowed the make-up team on Batman & Robin to flex their creative muscles in order to create the colourful, iconic character. 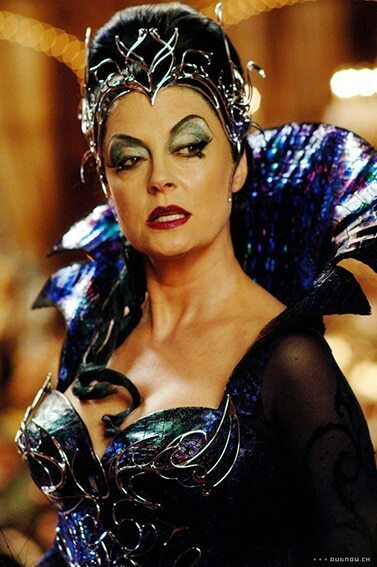 When the fairytale Enchanted brought animations to life we were delighted to see that the villainous Queen Narissa, played by Susan Sarandon, retained the exaggerated eye make-up from her animated form. 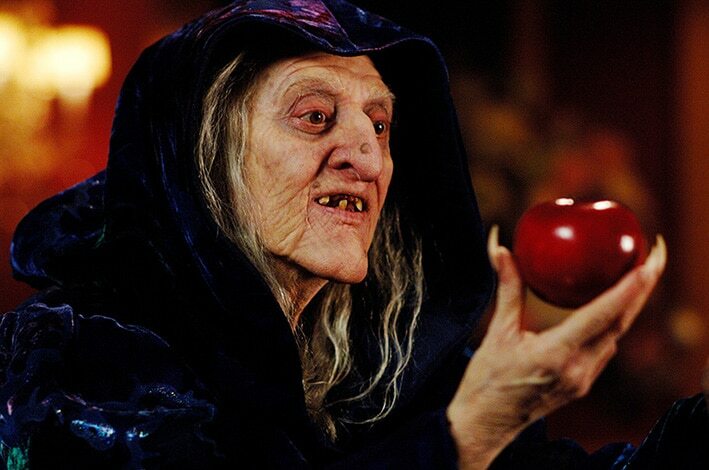 Make-up artists Rick Baker and Nicki Ledermann were then responsible for the transformation into her witchy disguise. Five hours in the chair to become the hag was a challenge, but so worth it. 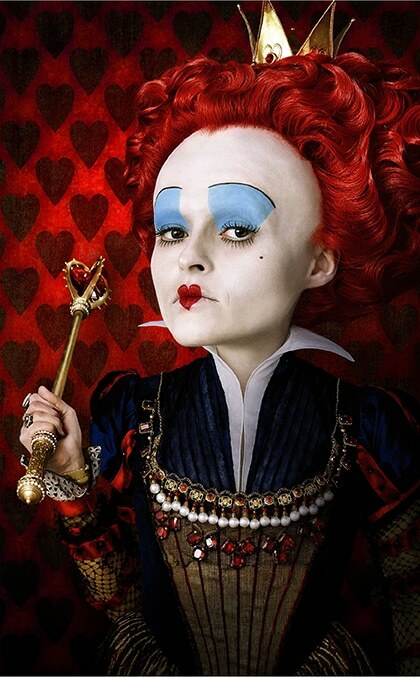 One of the most iconic of villains is Alice in Wonderland’s Red Queen, brought to life most recently by Helena Bonham Carter. 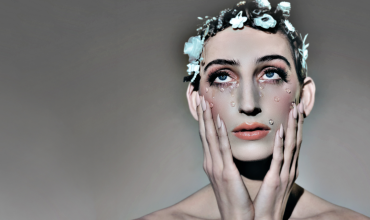 The lips were stencilled in, the blue eyes created using a myriad of blues from YSL and the whiteout from Le Maquillage crème stick #51. 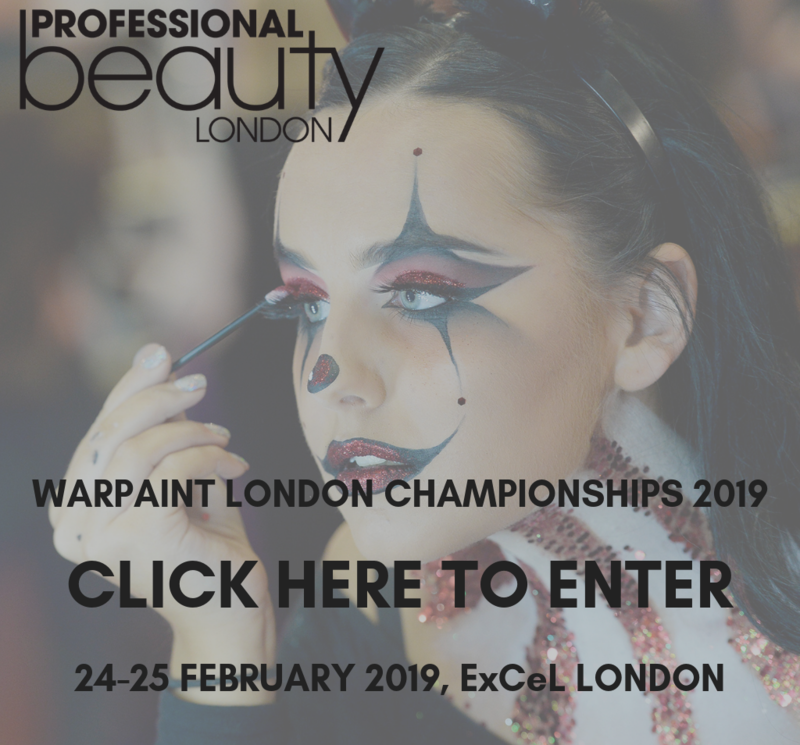 Make-up artists Valli O’Reilly and Paul Gooch worked with Terry Baliel, head of hair, to create this exaggerated villainous look. 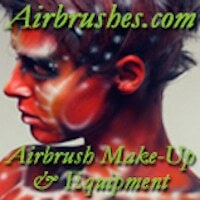 Angelina Jolie is the vindictive fairy magicked into being by artist Rick Baker. 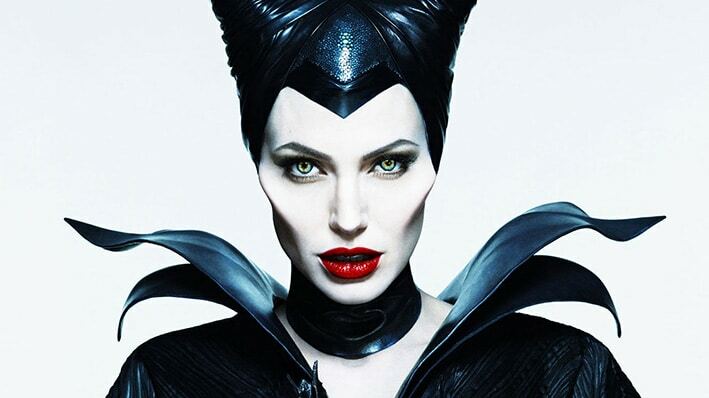 “Maleficent needed to be more relatable and not too creature like,” Baker explained, but it was Angelina herself who wanted prosthetics – particularly the cheekbones. 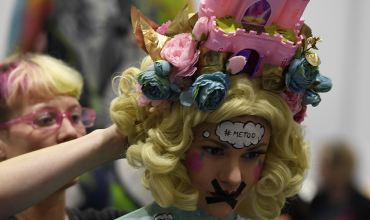 Interestingly those cheek appliances were less than a quarter of an inch at their thickest and only about ½ inch wide – subtle, yet enough to appear otherworldly. This X-Men evil mutant has been played by two actresses so far, but for us Jennifer Lawrence’s most recent Mystique is a true make-up department success. After being previously scarred by the prosthetics in X-Men: First Class, not to mention the eight hours it took to apply, the team knew they needed to adapt. By the time we reach the current version, X-Men Apocalypse, Jen donned a body suit which was then supplemented by the additional wig and prosthetics. Norma Hill-Patton was the chief who dreamt up the modern Mystique. 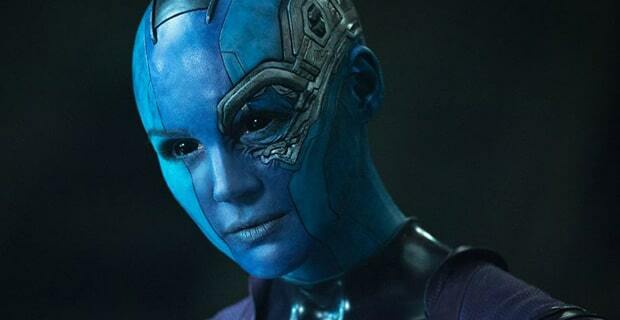 Another blue baddie comes in the form of Nebula, played by Karen Gillan who famously shaved off her trademark auburn locks rather than rely on bald cap for this character. There’s a lot of blue paint going on in Guardians of the Galaxy, all applied under the watchful eyes of chiefs Elizabeth Yianni-Georgiou and Dave White. What do you think? 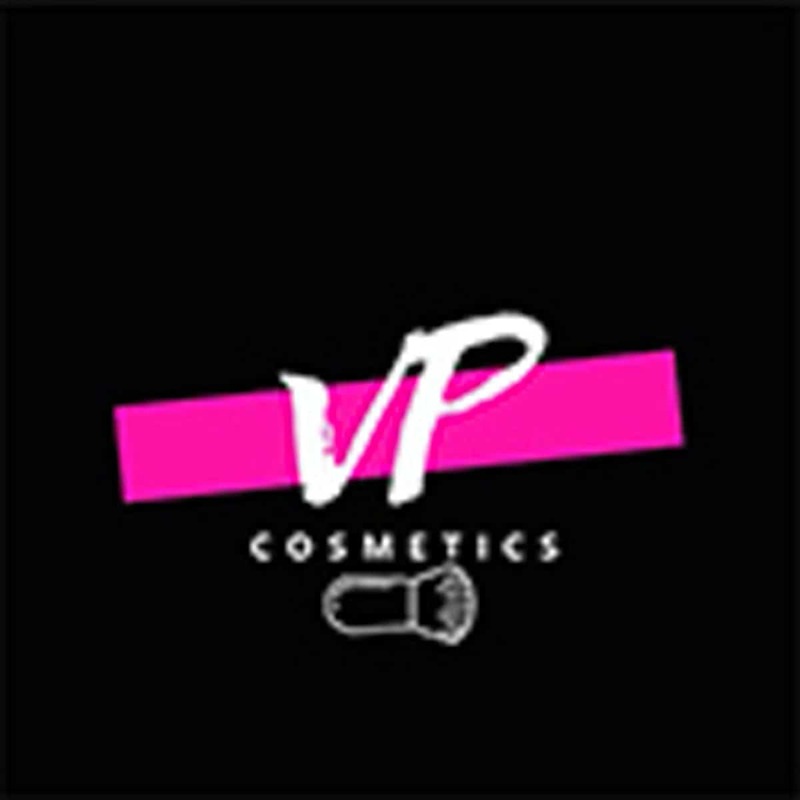 Did we miss anyone out? 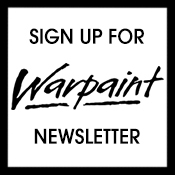 Comment on Facebook or Tweet us @Warpaint_Mag!